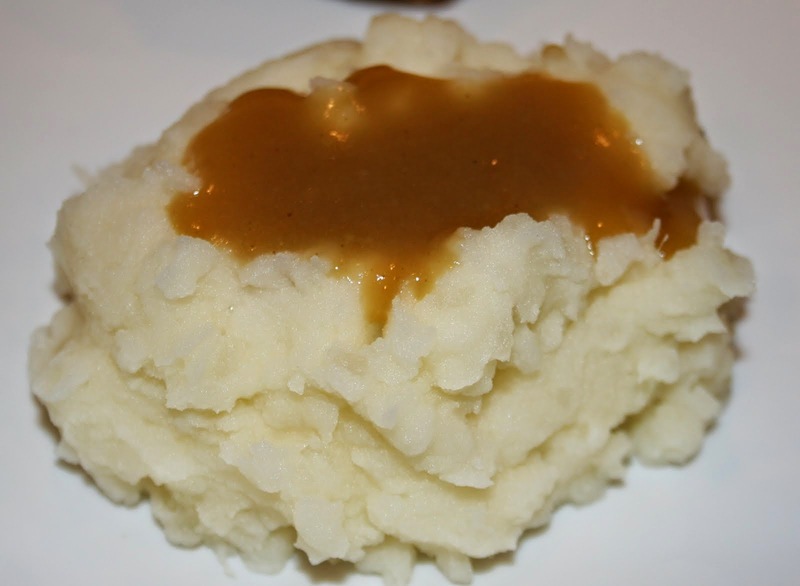 Scattered Scissors: Do you have Mashed Potato Pillows? That's right. You read that right. Before you think I'm completely batty, let me tell you what they are. 1. A pillow that looks to be inhabited by lumpy mis-beaten cold clumps of mashed potatoes. 2. 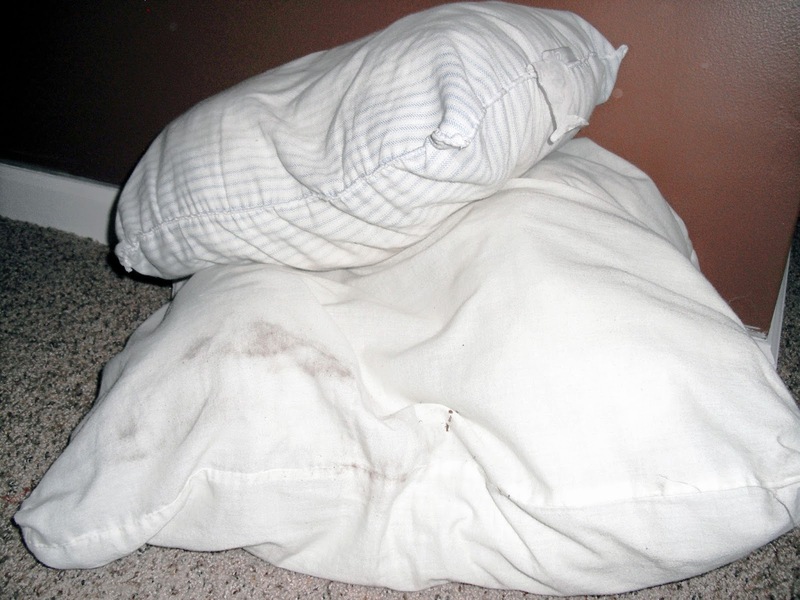 A previously laundered pillow that no longer resembles a full, plump and symmetrical head and/or back support. 3. A bunched globular amoeba covered in a form of cloth that is not fit for resting any body part on. 4. An abomination in the home décor world that is not worthy of displaying or using. Well, folks. I have Mashed Potato Pillows. BIG TIME! Since I have messy, messy kids sometimes the pillows need to go into the wash. Not only does food get on it but drool, snot, and that horrible regurgitation stuff that I shall not name (it's my kryptonite, I swear). And every time the pillows come out of the dryer they look awful. Lumpy, misshapen, unappealing, not-the-pillow-I-threw-in-there objects. Then, because they are an abomination, I don't want to use them and toss them into the get rid of, or make something out of piles. Well, a few weeks ago I wanted some new pillows. Something not so dark and more cheerful. I'm going to MAKE spring come, Damnit!! 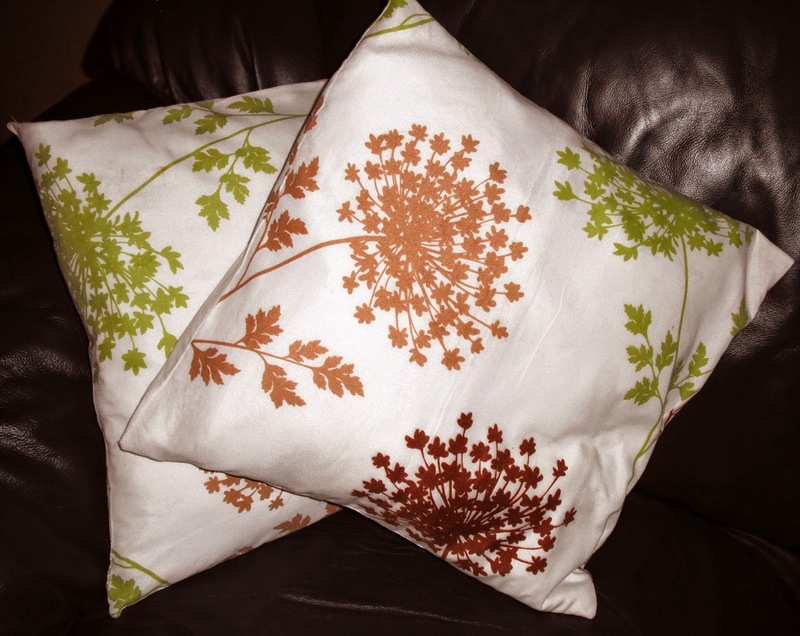 So I grabbed some things out of my Get Rid Off pile and made some new pillows. I made the insert with scraps of muslin, an old baby changing pad and my re-fluffed stuffing. I read online how if you have a more solid fabric you won't see all the lumpies on the front so cut into an old changing pad and used that as my more stable fabric. The envelope pillow covers were made out of a set of pillow cases I found at the dollar store. I really loved the fabric so I bought it to make something out of. I cut it so I could reuse the hemming that was already on them. Yep, I was that lazy. And the kids love them. The pillows have already become one of their favorite napkins. Now I just need to convince my husband that we NEEED green curtains because I am digging the colors on this fabric like you wouldn't believe.